Valerie is an exceptional agent. She is a zealous advocate for her clients and also serves as the voice of reason when brokering a deal, making sure her clients find the right property even if it means going to extra lengths on her end. She is professional, honest, and knowledgeable about the market, offering well-reasoned advice during the process. I've worked with a number of agents over the years and found that she was the first one who I felt truly added value to the transaction. Her connections with other agents in the community are key to getting the most current information about properties and then getting the deal done. After a two-year search for the right property, she helped me find something far more valuable--a home. I would recommend her without reservation and plan to use her for all of my future real estate dealings. Valerie Nickerson is a fantastic real estate professional who will make your life easier. I needed to sell my deceased mother's condominium which had not been on the market in 39 years. As a full-time working professional with little free time and no experience selling real estate, I relied on Valerie for many useful suggestions, including: furniture to keep and what must go before showing the unit to potential buyers, excellent referrals for affordable repairs, required retrofit, carpet cleaning services, and moving company, plus coordinating several of those items so I didn't need to do anything except approve and pay for it. And, there was 39 years of my mother's belongings that had to be handled. Above and beyond the call of duty, Valerie pitched in and helped me with last minute packing so we would be ready for the open house. She brought decorative items to enhance the appearance and even arranged to have a lamp fixed. Offers and negotiations went smoothly, as did escrow. I highly recommend her services, you won't be disappointed! 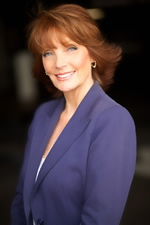 We were lucky enough, when buying our home in Brentwood Park, to have Valerie Nickerson as our agent. She made a tough protracted transaction appear effortless with her intelligence, business savvy and astonishing work ethic. There were quite a few problems since the house was quite old and we discovered foundation and drainage problems to name a few during our inspection period. Valerie had the right inspectors and tradesman that gave us estimates that enabled us to negotiate a sizeable credit for all the repairs that needed to be completed before we could move into the house! She is a true professional and a joy to work with. Valerie Nickerson is a true professional. She walked me through every step of selling my home. Every detail was taken care of professionally and completely. It was the easiest real estate transaction I have ever been involved in, all because of Valerie’s knowledge and attention to detail. She is masterful in knowing how to make a property look its best. My condo sold in days…I had offers even before the open house…and for more than I expected. Her expertise in this field is outstanding. Thank you, Valerie…it was a pleasure working with you! I will be contacting you when I am ready to purchase again in Los Angeles. I am so thankful to have had Valerie as my real estate agent. She listened to my search specifications and scheduled a day to look at open houses right away. We found my condo the very first day we looked, and I am certain that it was Valerie's persuasiveness and persistence that convinced the seller to choose my offer. Valerie made my first home purchase as easy as possible, explaining all of the paperwork and promptly responding to all of my inquiries. Through out it all, she was a pleasure to work with. Valerie Nickerson is the walking embodiment of what all realtors should aspire to be! As the long-time President of a 50-unit condo HOA in Brentwood, I’ve been aware of the intricacies of each of the several solid sales Valerie has made in our building. With her impeccable professionalism and industry knowledge, she has brought in multiple offers each time, breaking previous sales records here and closing at above the insightful asking price set. As an added plus, Valerie has used her wonderful design talents to rearrange furnishings available to stage pedestrian places as palaces. I have seen her encounter the most trying of circumstances and not once succumb, consistently and unflaggingly rising above all with her innate grace and intelligence. Each sale has resulted in total satisfaction for both seller and buyer alike, and ultimately there can be no higher praise for Valerie’s capabilities. On a more personal note: When I inherited and embarked on a remodel of my family home last year, Valerie – with her unassailable eye for design and penultimate realtor savvy -- was the one person to consult. She provided my contractor and me with cost-effective and creative ideas to maximize the house’s potential, and voluntarily made multiple visits as the work progressed to ensure the results were as beautiful as envisioned. Knowing she often deals in sales of multi-million-dollar properties, I was of course thrilled when she consented to rep my relatively-modest home for rental. As I’d witnessed at our condo building in Brentwood, Valerie poured herself into the transaction 100%. And of course she quickly found me the best tenants on the planet. I have worked with many real estate agents through the years as both myself and my husband are involved in real estate development. I must say that while many agents were lovely to work with, Valerie was beyond professional. She went out of her way to help market my mothers' condominium. She took care of everything and always followed through. Her paperwork was impeccable and always on time. Valerie makes you feel that you are most important when you are with her. We felt that she researched her product carefully and gave you an honest insight into the market. Personally I would recommend her highly to anyone who needed a broker. I can promise you, there will be no regrets. On behalf of my family, we would like to thank you for the incredible job you did in selling our mother’s condominium. This was a year of big changes for all of us. Our mother decided to try out an assisted living facility, and after a few months when she saw that she liked it and wanted to stay, we decided to sell her condo. From the minute that we interviewed you, we could tell that you were the one who we wanted to represent us. There was so much going on in our lives with our mother’s adjustment to assisted living, that we really needed an agent who could take charge of the sale. First of all you listened closely to our ideas and opinions, and then you formulated a plan. You helped us “stage” the condo so that even though it looked good to begin with, it looked even better with some of the beautiful accessories that you added and rearrangements of some of the furniture. You priced it well, and when there was tremendous interest, you handled all of the offers beautifully. We never felt any pressure from you; only support. The offers went way over our asking price, which was fantastic. When the first offer fell through, you stayed calm (and kept us calm), and smoothly negotiated the second offer which was also quite a bit over asking price. All in all, although selling a home can be very stressful, we did not feel any stress at all due to your professionalism and caring. "As first time homebuyers, we were very apprehensive about the process. Valerie was wonderful to work with and made the whole experience much easier. She was a great advocate for us and explained things every step of the way. We cannot recommend Valerie enough!" Valerie went the extra mile; Always with a smile, professional and impeccable at every stage of purchase and sale.